a few weeks back i did a reinstall of my windows 7 which was unsuccessful and this lead to my files being deleted on it where my aeon coins. ive used ease us to view the files on my hard drive but i do not know which is the wallet file. it gives me cpp and h files amongst others. Your wallet is in the same directory as aeond.exe and simplewallet.exe, and it is named wallet.keys, or something like that, with the extension .keys. I have all of the old PMs, but I don't really understand the question. PM me to follow up on this. Start the wallet with --restore-deterministic-wallet and it will ask you for the seed words, and then it will recreate the files and recover the coins. do you have the seed words written on paper? if not, where are they stored? don't know if you need recovery software. What happened to your laptop? if you take out the HD, there exists cables to attach it to another PC so your HD looks like a USB device and you can browse all your files. @ancientcoins: if you are an experimented user in file management and partitioning (= you easily navigate in a directory tree and you know how to identify a partition), give a try at TestDisk. Not the best user-friendly but very, very powerfull. it never disappointed me. i forgot: don't use anymore the damaged disk to not increase the data loss. boot from another disk or from a cd-rom, a usb key. you must not write on the damaged disk, only read. the mnemonic keys were also stored in the pc as document,. i know silly but was lazy. want to try a new software which is better as if i have to pay rather pay once and reading the HD takes more than day too. What will happen with the AEON i have on poloniex when the fork is online? If you can wait until tomorrow I can help you. I have to run out the door in a few minutes. this is my area of expertise. Don't run anything that writes to the disk! IIRC, the default wallet name is wallet.bin, not wallet.dat. Perhaps this is what you should be searching for. Best of luck recovering your coins! In fact, you want wallet.bin.keys. Or, the file ending in .keys that corresponds to whatever you named your wallet, if you gave it a different name. It should be 289 bytes. I think Poloniex keeps all their wallets indefinitely after delisting, so you should see your coins back, should Polo relist Aeon. Obviously we have the hard fork coming up in about one week with the mainstream CPU and mobile-friendly PoW. There have been discussions with exchanges, so I do expect the coin to be listed for trading soon (either before or after the hard fork, I'm not sure). Local blockchain pruning (light full nodes). On systems with limited resources (RAM and/or HD) you will be able to run a full node without storing an archive of the entire chain. This comes with no reduction in security -- you will still be validating the entire chain, but not storing it. Your node will be able to forward blocks and transactions, support wallets with full node security, and even mine. The only thing it won't be able to do is serve old blocks over the p2p to brand new users (it will still serve recent blocks to other users who are syncing after a limited amount of time offline). Brand new users or those offline for an extended period can use a bootstrap, or they can still sync over the p2p by connecting to archive nodes (full nodes that are not running in light mode). Cryptonote GUI integration (some preliminary work on this is already done). Following version 1.0.0.0, we will move to the more on to the longer-term roadmap items, including the SPV client model, and finally the multisig, simple contract scripts, payment channels, and global blockchain pruning. Although not presently on the roadmap, I would like to at some point see actual mobile wallets, which could work either as SPV clients or as light full nodes. For that to realistically happen, we'll have to see how things go with funding for the project and/or expansion of the core team. 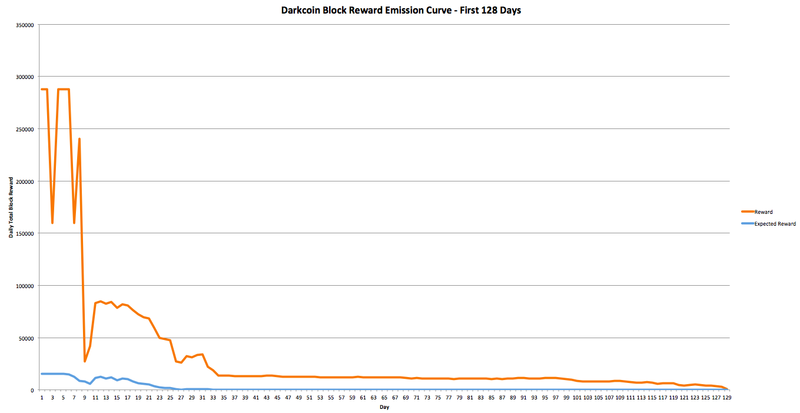 Interesting, this coin is really starting to feel like a proper fork, going its own path. Normal for now, as the entire blockchain is stored in RAM. The next version will have an option to run as a light full node with reduced RAM usage. I hadn't noticed the web frontend part of the pool was unreachable, this is now fixed. The pool itself has been working fine though, so that's why I did not notice.